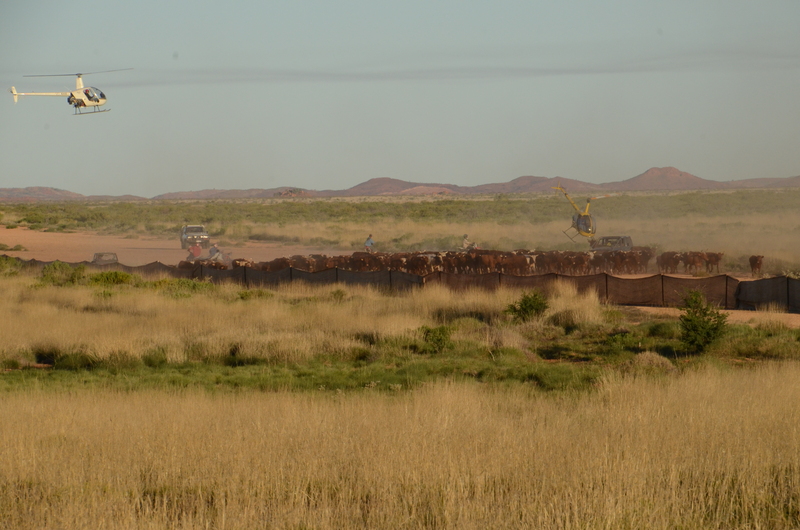 In August the Budadee Foundation commenced the first of their land management programs for the Woodstock Protected Reserve – The Woodstock Cattle Muster. 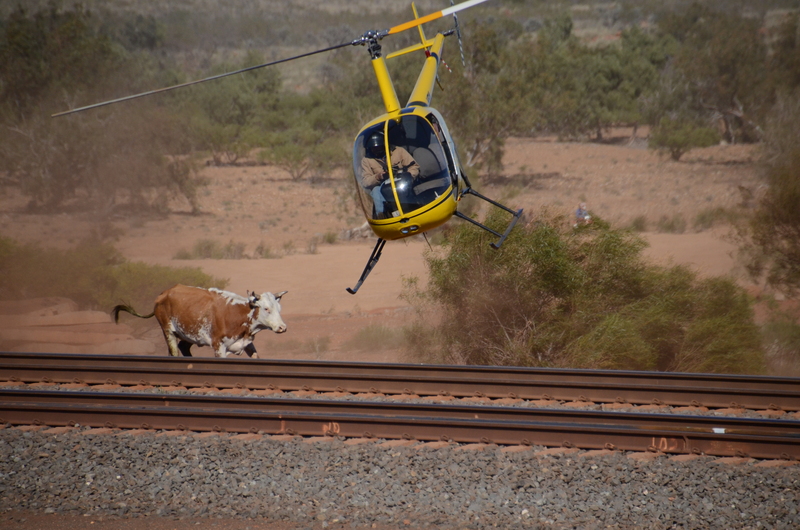 Environmental studies and consultation had found that feral cattle were causing a significant environmental concern in the reserve, as well as a concern for the rail services, and haulage vehicles in the area. 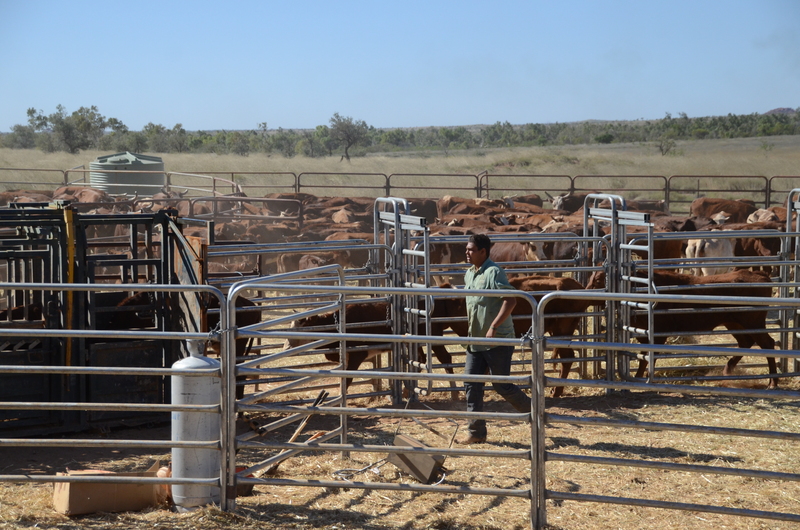 These cattle were residing on the Reserve and crossing the roads and rail lines, resulting in accidents and animal deaths. 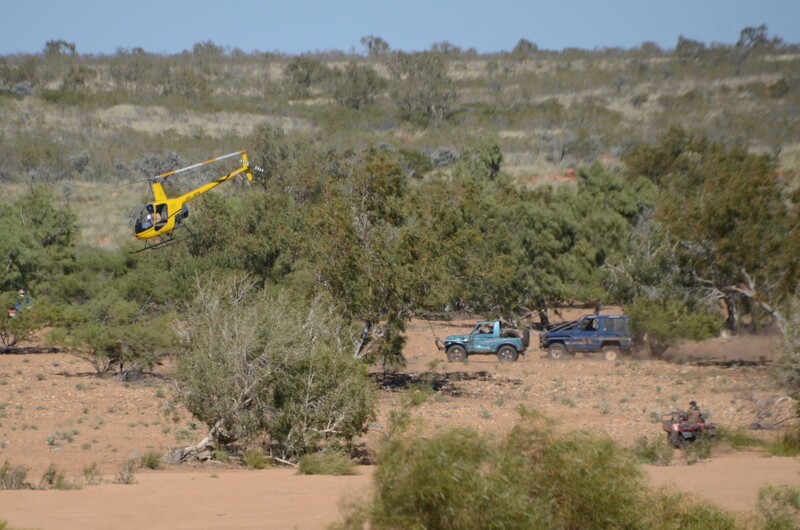 Traditional Owners, working alongside contract musterer, Pat Barrett, used helicopters, bull buggies and trail bikes, to successfully truck out 1000+ head of cattle from the northern and western part of the Woodstock reserve, leaving a follow-up muster proposed for the southern and eastern areas later this year. Terra Rosa’s environmental manager Darren was engaged to oversee the process and took these fantastic photos, which represent the first of many planned environmental activities for the Reserve. 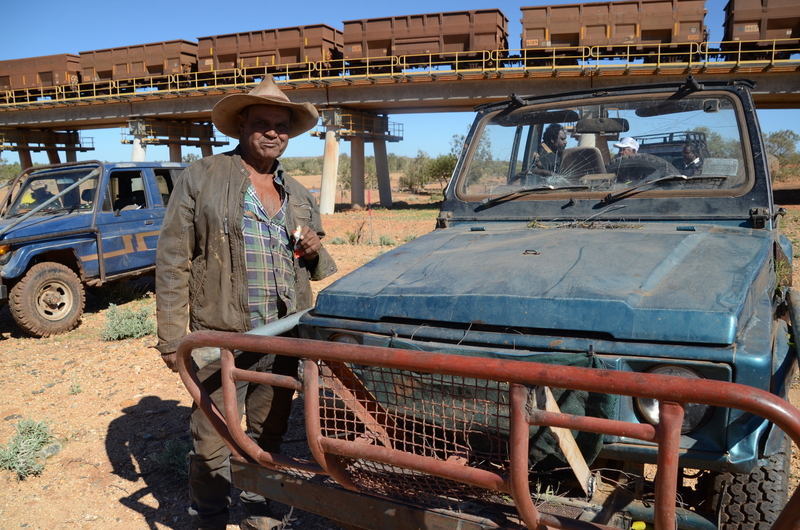 Budadee Foundation’s long term aim is to have a dedicated land management team of Traditional Owners looking after the Reserve, its unique natural and cultural values including numerous Aboriginal sites. Budadee Foundation wants to protect the Reserve for future generations, and preserve its Songlines, cultural information and important place in the lives of Traditional Owners.